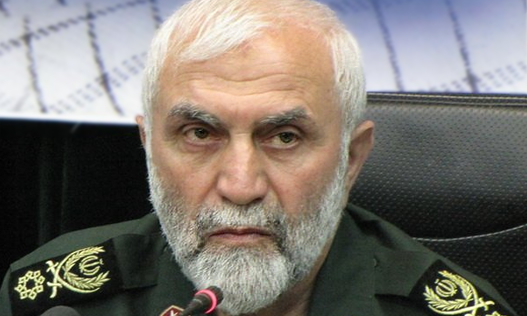 Commander Brigadier General Hossein Hamedani, an advisor to the Iranian Revolutionary Guards Chief and former commander of the Mohammad Rasoul-allah Guards in Tehran, was reportedly killed in Syria. The Iranian Revolutionary Guards Corps (IRGC) public relations office announced Hamadani’s death in a statement issued on Friday October 9. According to the statement, Hamedani was part of the “Defenders of the Shrine” and was killed on Thursday evening by ISIS forces in the course of his “advisory mission” in the suburbs of Aleppo. The Defenders of the Shrine are a group of Shias that protect the Shrine of Zeynab, a Shia saint. The shrine is located seven kilometres from Damascus near the city’s airport. Iran has insisted that its presence in Syria is only at an advisory level and they are not engaged in any direct military operations. Hossein Hamedani was one of the founding members of the IRGC and one of its commanders in the Iran-Iraq war of the eighties. Hamedani was reportedly given responsibility for Tehran’s security as the head of Mohammad Rasoul-allah Guards in 2009, when election protesters were violently suppressed during mass street demonstrations.